George Florez is an Associate Attorney with McAlpin Conroy. Mr. Florez focuses his practice on a broad spectrum of maritime litigation matters. His experience includes representation of vessel owners, cruise lines, concessionaires, cargo interests, marine insurance underwriters, protection & indemnity associations, and marine lenders. Mr. Florez manages all aspects of litigation, providing him with a comprehensive and thorough understanding of each client’s unique factual circumstances and legal needs. Mr. Florez was born and raised in Miami, Florida. Prior to attending law school, Mr. Florez obtained his Bachelor of Arts in English and Composition from the University of Florida. 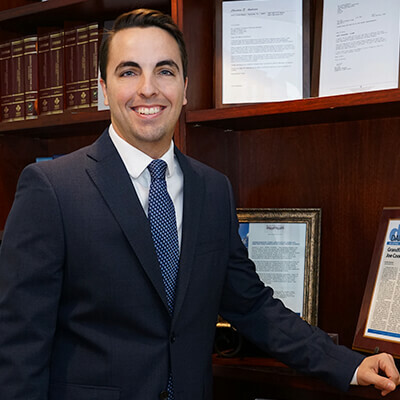 He earned his Juris Doctorate degree from Florida International University College of Law, where he was selected to compete in multiple mock trial competitions as a member of the FIU College of Law Trial Team. Prior to commencing his legal career, Mr. Florez was heavily involved in Miami’s maritime community. He frequently assisted in the development of youth sailing programs for local clubs and non-profit organizations. Mr. Florez also spent time as a faculty member at a local school in Coconut Grove, where he worked as Assistant Waterfront Director and Sailing Instructor.